Diligencia is a specialist information services provider, focused on company data within emerging markets. Established in 2008, they use advanced technology and human insight to extract unstructured data on companies in territories where public domain information is not readily available. 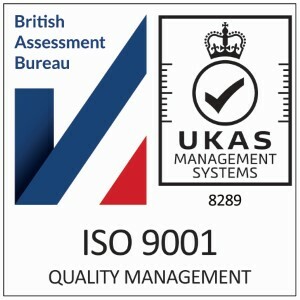 It is often seen as a Companies House equivalent for 69 countries across the Arab World and Africa. 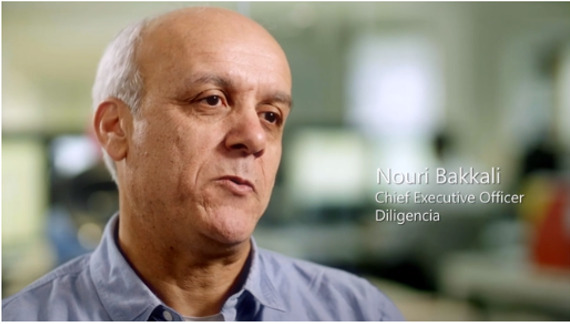 Holding a huge amount of information on-premises, Diligencia needed a more robust infrastructure and Microsoft Azure was identified as a perfect solution. Diligencia chose Doherty for their Azure migration because of our genuine 24/7 support offering, which meant minimal downtime. Data security was also a key factor, so by choosing Doherty Associates and Microsoft as partners, they felt confident that any problems they had could be answered swiftly and comprehensively. Phoenix Equity Partners are a private equity firm headquartered in London. Like most organisations in their space, they are focused on innovation and modernisation in an effort to leverage technology to help them stay ahead of the curve. As a private equity firm, it’s not only crucial that Phoenix Equity are using the latest technology but also that their information is secure and retrievable whenever it’s needed. Doherty Associates started by migrating their on-premises infrastructure into the Microsoft Cloud, including an Office 365 email migration, and collated the contents of seven physical servers and kept what was necessary on a single server in their office. Doherty assisted Phoenix Equity Partners in setting up their new office with updated PCs and laptops, as well as installing state of the art firewalls to ensure that confidential information was protected. We worked with local internet service providers to get the fastest possible connection into the building and delivered new tablet devices such as iPads and Microsoft Surfaces. Phoenix Equity’s team are now working more effectively with the help of the latest technology. Their new devices allow them more flexibility, whilst still using tools they are familiar with. Joe Wicks, ‘The Body Coach’, is a renowned fitness coach and has created the UK’s number one Online tailored fat loss plan. With over 2.1 million Instagram followers, his team of Support Heroes is now more than fifty strong, all working towards helping people achieve their health and fitness goals through embracing a lifestyle change. Doherty Associates first engaged with The Body Coach after they had just moved into a brand new office in Richmond, helping them to get up and running quickly. However, through further discussions it became clear that one of the key drivers of new customers for The Body Coach was email, and at that stage, their email traffic was not being allocated as efficiently as possible. The discussions continued and Doherty began designing a solution. Having understood what they were trying to achieve, Doherty used Microsoft Power BI to create a report that shows how The Body Coach Support Heroes were dealing with different quantities of incoming emails, as well as displaying their quantity of outgoing emails. This valuable information is available in real time, and is automatically updating constantly. Watch our Video Case study – that describes our working relationship with the University and College Union. Presented by Mark Copeman – this video features an interview with Linda Newman from the University and College Union.